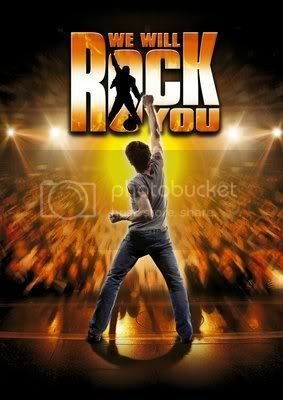 Following the triumphant 2010 and 2011 UK theatre tours, the smash hit QUEEN and Ben Elton musical, We Will Rock You announces the show will embark on its first ever world arena tour. With 24 of Queen’s biggest hits delivered in a show that boasts the scale and spectacle that marked the bands’ legendary live performances, this will be one of the most spectacular musicals to tour the world. The multi million pound production will be heading to the Nottingham Trent Arena for it’s first stop in the UK on March 27th, 2013 and on to Dublin on April 4th, before rocking around Europe and returning to the UK in May and June for dates at the Sheffield Motor Point Arena, the newly developed Leeds Arena, the Belfast Odyssey and the Newcastle Metro Arena. UK and Dublin tickets go on sale in autumn 2012. 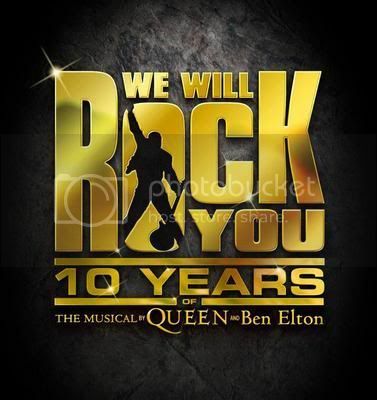 The touring production reaches worldwide arenas carrying with it an impressive legacy: when it first became news that one of Britain’s most phenomenally successful comedy writers Ben Elton was teaming up with legends of rock, Queen, for a musical there was much speculation on what such a unique collaboration would turn out. So impressed after attending the original workshop, screen icon Robert De Niro and his company Tribeca came on board as American partners. De Niro continues to support the show, even making a special visit to London in May this year to help celebrate the 10th anniversary in style. The audience erupted with thunderous applause, as he joined the cast on stage after the landmark performance.